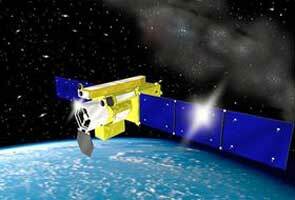 The satellite observatory Solar-B was launched successfully on 22 September 2006 from the Uchinoura Space Centre in southern Japan. UCL has strong involvement in the mission, which will provide unprecedented detail of the Sun's activity. The three-year mission will examine solar flares - huge explosions on the sun that eject radiation, plasma and high-energy particles into the solar system at a tremendous rate. High energy particles, such as protons, can arrive at earth within tens of minutes, to be followed a few days later by coronal mass ejections, huge bubbles of gas threaded with magnetic field lines, which can cause major magnetic disturbances on Earth, sometimes with catastrophic results. Currently, scientists understand the flaring process very well, but they cannot predict when one of these enormous explosions, or coronal mass ejections, will occur. The Solar-B mission, designed and built by teams in the UK, US and Japan, will investigate the so-called trigger phase of these events. UK Solar-B project scientist Professor Louise Harra (UCL Mullard Space Science Laboratory) explained: "Solar flares are fast and furious. They can cause communication blackouts at Earth within 30 minutes of a flare erupting on the Sun's surface. It is imperative that we understand what triggers these events with the ultimate aim of being able to predict them with greater accuracy." The instruments on the spacecraft, named Hinode - the Japanese for 'sunrise' - will measure the movement of magnetic fields and how the Sun's atmosphere responds to these movements. Since the Sun is constantly changing on small timescales, Solar-B will be able to distinguish between steady movements and the changes that will build-up to a flare. UCL scientists have designed and built Solar-B's Extreme Ultraviolet Imaging Spectrometer (EIS), one of the three onboard instruments. An extremely lightweight three-metre long telescope, it will measure the dynamical behaviour of the Sun's atmosphere to a higher accuracy than ever before, allowing measurement of small-scale changes occurring during the critical build-up to a flare. "In order to make the EIS as light as possible we used the same type of carbon fibre structure, from McLaren Composites, that is used to build Formula 1 cars, although being in space will subject the material to many more demands than even an average Grand Prix," said EIS Instrument Project Manager Dr Ady James (UCL Mullard Space Science Laboratory). Principal Investigator of the EIS, Professor Len Culhane (UCL Mullard Space Science Laboratory) said: "The Sun behaves unpredictably and is as likely to flare during spacecraft night when a spacecraft would be behind the Earth. Hence, we have chosen a special type of polar orbit that will give us continuous coverage of the Sun for more than eight months of the year." The EIS instrument is complemented by optical and X-ray telescopes and all three instruments will help solve the long-standing controversies on coronal heating and dynamics. Through the Particle Physics and Astronomy Research Council (PPARC), the UK has invested almost £5million in the development and build of the EIS instrument.